On May 17th, the "One Belt, One Road" is just ending, and at the same time, hosted by the Antofagasta Industry Association, EXPONOR 2017 is full on display, no words can describe its grand occasion. There are full of customers in Booth of PRODRILL, buyers, experts, and agents, all are discussing about cooperation, these products of PRODRILL is popular now: construction breaking tools, rock splitters and top hammer drilling tools, DTH tools, Casing Systems attracts many friends, and Tricone roller bits for mining (10 5/8'' and 12 1/4'') are extremely popular. Combing the scene, the new and old customers, the main buyers focus on the following main products: construction demolition, rock splitting, heavy duty top hammer drilling tools, DTH drilling tools, concentric drilling series, tricone roller drill series such as 12 1/4,10 5/8 '' rock bit. In response to the call to set up "overseas warehouses" under the “One Belt, One Road” policy , PRODRILL has set up a fully-owned subsidiary in Chile and set up a warehouse for goods in Lanka City, which stand in a distance less than half an hour's drive from the capital. 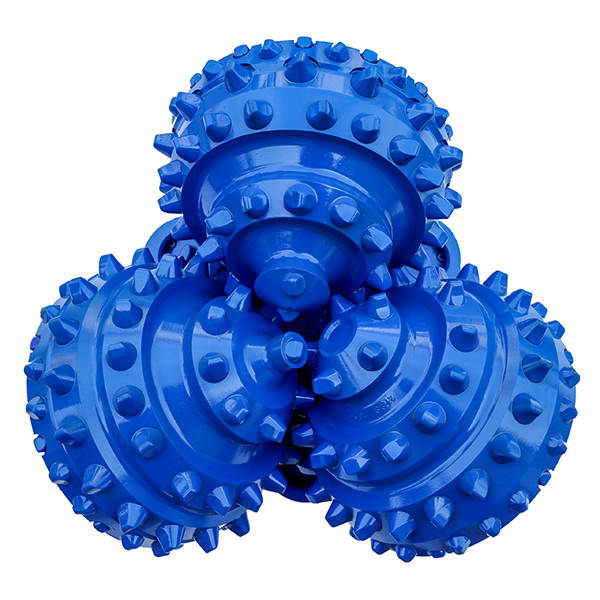 Standard drilling bits are in stock, so we can delivery to miner and supply goods on time. So we can offer after-sales guarantee for both miner and traders. From China to Chile needs more than a month, including customs clearance, transport time, arrived at the mine needs at least 2 months time. The state-level large miner owners have enough money to pay by full amount to purchase, small and medium-sized miners obvious are limited in money, local procurement, which has a 1-2 month account, becomes a good option. Overseas warehouse is also a step under with the "One Belt, One Road" policy, if Huawei has not stayed n Chile over 12 years, will they have so good feedback in South American market in the last 2 years? Chinese lend money (machinery and equipment) these miners, so they can use the money (machinery and equipment) to find a Chinese company to repair infrastructure and mining natural mineral resources. Can not return money in a few days, no problem! Returned step by step, we can wait. So that China's foreign exchange reserves can be transferred from the US Treasury bonds to a more meaningful place. China's excess capacity to pay someone to drive, make a living in China's manufacturing industry, such as China's current drilling industry with significant production and sales surplus in recent years, environmental protection and mine shut down, 90% of the same business with the diamond, the sea to find a way out. Before relying on routines to eat, do not attach importance to external sales, international operation of the enterprise, have registered B2B platform to find customers, I do not know the B2B dividend 2014 has begun to eat. Exhibition line to find a professional businessmen to regain their vitality. These countries with Chinese money and help, repair the infrastructure and mining of mineral resources, under the "One Belt, One Road" framework, make economy develop, then will earn money to return to Chinese, and buy more and more tools. That can also improve influence China's manufacturing industry. The next goal of “One Belt, One Road” is building the "Silk Road Economic Zone" and "the 21st century Maritime Silk Road" into a road to peace, a road to prosperity, an road to open, a road to innovation and a road to civilization. We believe, Chinese drillers will create a unique value in the "One Belt, One Road" policy.